Over the years, I’ve handled just about every type of .38 caliber snubby revolver. For the most part, they were all working guns, something you would have on your hip just in case the night turned bad. 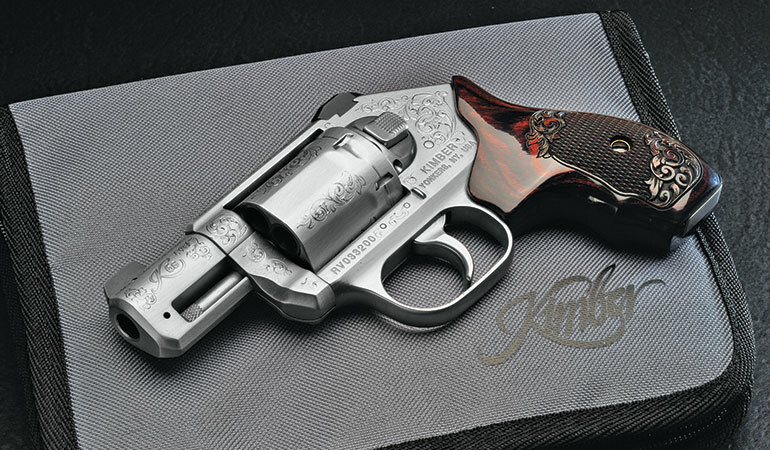 The newest one to come into my gun room is the classy Kimber K6s Classic Engraved revolver, all decked out in bright stainless with full coverage engraving. For those who simply want the best in a concealment weapon, it’s hard to beat this one, with its scalloped frame, small cylinder and well-defined sights. Checking in at 23 ounces sans ammunition, it’s a double-action-only that will chamber a full six rounds of either .38 Special or .357 Magnum. With a width of only 1.4 inches and an overall length of 6.6 inches, the K6s is just made to be carried for extended periods without fatigue. The two-inch barrel is tapered at the bottom and widened at the top, and the ejection rod is fully protected by a heavy-duty underlug Kimber machined in as part of the barrel. The cylinder is square rather than the traditional round shape, but there are no sharp edges. The locking notches have been cut as to place them center on each chamber, but I did notice the timing was off a bit as evident by the mark around the periphery of the cylinder. The cylinder is opened via a nicely serrated button release. The trigger is non-stacking and broke at about 10.5 pounds. 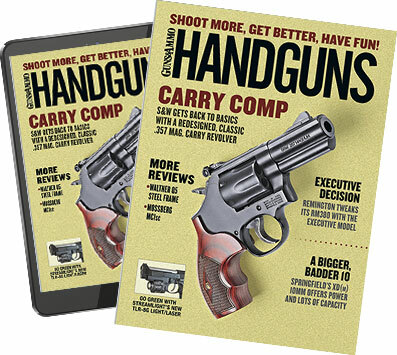 Following the traditional design of most hideout guns, there is no external hammer, and the top part of the frame is rounded off and polished for easy withdrawal from leather gear. The top of the frame has a deep gutter that allows the rear notch to follow the three-dot sight picture right up to the front sight blade. Kimber has included a richly figured and nicely polished pair of rosewood grips with a precision cut floral pattern at the top and bottom within the full-paneled checkering pattern. Complete with a case, the gun carries a suggested retail price of $1,455, but of course the actual price you pay will vary.